Our requirements for our guides in The Guidepool. Our guide and instructor follow the laws and rules that apply in the business. Fishing regulations in the waters that are used for business are followed and as our Fishingguides and Instructors are acting like role models . Our Fishingguides are acting for a Ecological sustainability. We have clear fishing rules for our guests and as a fishingguide we work actively with fish conservation in different ways. As Fishingguides in Fishingguide In Sweden we maintain high service levels to our work with our guests. All the information we put out is of high quality . We respond to inquiries in a serious and professional manner within 24 hours. The products we sell are of high quality and are delivered in a Proffesional way. We all are active in different networks to strengthen and develop the fishing tourism in the country for the better. As a fishingguide we keep catch statistics from our guiding and fishing in our waters. We are actively working to obtain good images of our guests and their catches. We make sure that we have the rights to use any images that we use for our marketing. We are actively working to improve our image bank for our business. Fishingguides in Fishingguide In Sweden try to support local markets and networks in our various fields as much as possible. 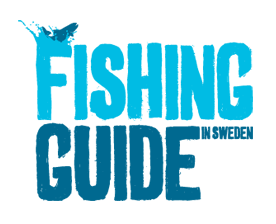 At least 100kr/guide/year of the Fishingguide In Sweden membership fees goes directly to Älvräddarna and there important work with our water . If you are a Fishingguide and want to be a part of this network you must follow our Quality Assurance!